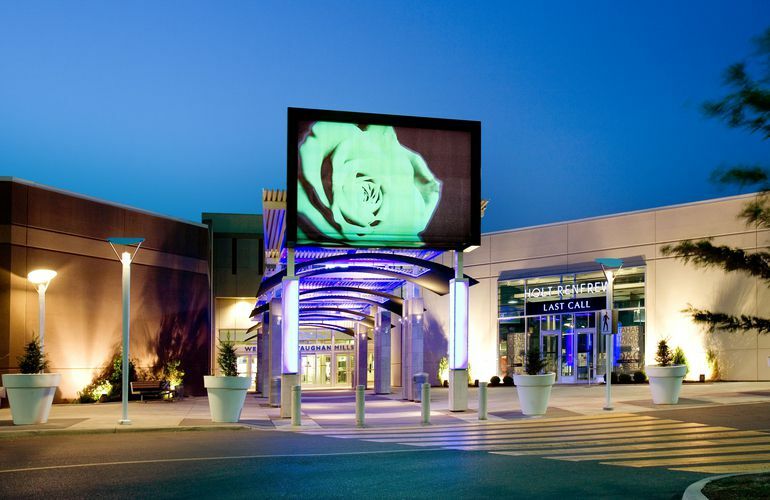 It's the thrill of the find that draws savvy shoppers to Vaughan Mills, where an exceptional mix of outlets and specialty concept stores make it a top destination! The world's leading fashion and lifestyle brands await you including: Nordstrom Rack, Calvin Klein Outlet, A|X Armani Exchange Outlet, Hugo Boss Factory Store, Banana Republic Factory Store, Michael Kors Outlet, The Outlet by Harry Rosen, Victoria's Secret and Victoria's Secret PINK, Tumi, Brooks Brothers, MAC Cosmetics, Cole Haan, Tommy Hilfiger Outlet and so many more. Vaughan Mills also includes world-class entertainment attractions, such as Pro Hockey Life, Bass Pro Shops Outdoor World and LEGOLAND Discovery Centre. Vaughan Mills is proudly Canadian and is owned and managed by Ivanhoé Cambridge.